Our Taxis provide a comprehensive range of airport transfer services whcih includes taxis, minibuses and coaches. All of these can be booked online in less than a minute and you can also select a private transfer or a shared transfer if you are on a budget. No waitting at the airport or delays, our drivers will be there waittign for you ready to drive your to your destination.You do not have to worry about trusting the local airport taxis to charge you the best rate possible. With us, the price we provde is the price you pay - no hidden extras! We have been serving Cyprus since 1981, we have one of the largest fleet of clean and comfortable vehicles to cater for all your needs. We have made a substantial investment into a state of the art taxi fleet management system which ensures your taxi arrives on time all the time. For those who need it we provide a vehicle with extra leg room and we have a mini bus which has two wheelchair spaces and room for up to six passengers. All our drivers are vetted by Cyprus Council with valid badges and licenses alogn with first aid courses to improve our already excellent service. We offer personalised and flexible guided sightseeing tours of Cyprus in the comfort of our cars. A personalised route can be proposed depending on the place or accommodation and your interests. Get the most out of your stay in Cyprus. 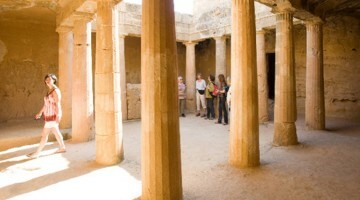 See the culture and the traditional villages and mountains of Cyprus. The variety of plant and animal life and the unspoiled scenery make Cyprus one of the most beautiful places for appreciating nature. Please let us know what your interests are and we will give you a customised journey offer. 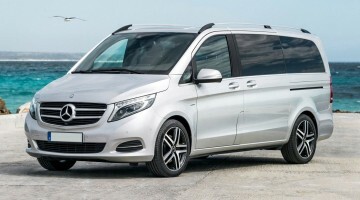 Our cyprus taxi transfer company offers various vehicle sizes, from an executive 4-seater to a premium 16-seater to take you anywhere in Cyprus. Our luxury private hire vehicles come complete with DVD players and music. Non-smoking vehicles are also operated for the comfort of all our passengers. Furher more 22-53 seater coaches are available for private or shared transfers along with excursions and tours. We regularly compare our prices with other licensed taxi services in Cyprus so you don't have to. We are proud to provide a professional and reliable taxi transfer service that you can depend on and trust. 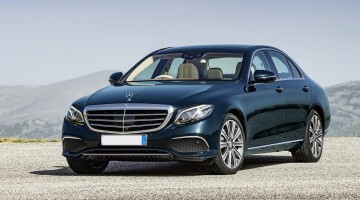 Our fleet comprises of well maintained, clean, late model cars including Mercedes, Ford and Skoda. 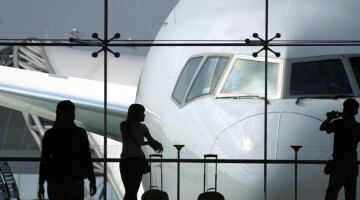 We monitor flight arrival and departure times so we can collect you on time. That's a guarantee or your money back! Our transfer serivces covers Paphos & Larnaca international airport alogn with all major destinations in Cyprus! Hello, We are now returned from our holiday in Paphos and just wanted to say a BIG thank you for your absolutely wonderful service. Everything worked perfectly and your drivers were always on time and very efficient and helpful and pleasant! We would recommend you to anyone as we were extremely impressed. Please pass on our thanks. We want to thank your company very much for the excellent service provided when we arrived in Paphos. We particularly wish to thank you for providing an excellent guide to discover Paphos which we used continually for our stay. We definitely recommend your services. I had a wonderful holidays and I want to thank all of you for the professional service provided. Fast and friendly replies on my questions, very friendly people picking us up, a super great time in the luxury Mercedes for our airport transfer and my birthday day out as well. 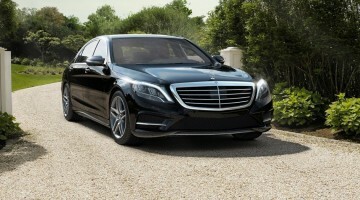 Just a quick thank you for once again providing an excellent service for our paphos holidays airport transfer. Please also pass on our special thanks to George our return driver which was an amazing gent and helped us get there on time. We look forward to using your transfer services again very soon. Dear Andreas, I wish to thank you for your assistance in arranging our paphos airport transfer and return. On both ends of the journey, your drivers were prompt, polite, courteous and most helpful showing great sensitivity towards my husband who has some mobility issues. The cars also were ideal – roomy, comfortable and spotlessly clean.The driving too was of a very high standard, and it would be appreciated if you could compliment the drivers on our behalf. What happends when my flight is delayed? If you entered your flight number during the reservation process we will monitor your flight to see if it is delayed so that our driver can be there in time without any waitting. Our prices are inclusive of 60 minutes waiting time. Every situation is different, so please contact us if there is delay and you are not sure you have provided your flight number durign reservation. At the time of sending your booking enquiry from our site you will receive a confirmation that we have received your request. Once availability and pricing is confirmed and agreed by both parties via email or phone you can rest assured that your reservation is confirmed and noted down. In most cases your driver will be waiting in front of your arrival gate with a Amber Voyage Taxi sign bearing the name of your or your group. Having ensured that you have correctly followed the Airport Instructions and you still can not fidn your driver then contact Amber Voyage Taxi Reservations Office on the contact numbers found in this website. If you have booked a Private Transfer your driver should be ready to depart as soon as you and/or your group has arrived. If you have been delayed please be advised that knowing your flight number is important to us in order to be there in time so you or our driver will not have to wait at all. I have lost my luggage. Can you help? Each passenger has an allowance of one suitcase or similar. If you are bringing other stuff like golf clubs please make sure to let us know in order to ensure that a suitable vehicle is supplied. In all cases Amber Voyage Taxi Drivers speak English, although scheduling requirements may mean that occasionally a non-English speaking driver may carry out a transfer. We not only have English speaking divers but Greek, Russian and German as well. All our vechicles include seat belts following local regulations. Can we stop off somewhere I need to en route? We have many customers that ask us to stop by the supermarket or pass from an office to pikc up thier holiday villas keys en route to thier destination. We alays try to accomodate our customers but please makse sure you have made prior arrangement with our reservations office and only if you are travelling by Private Transfer. shared Transfers are not able to stop anywhere en route. I have left something in the taxi. How do I get it? Please contact our reservations office with details of the missing items and your transfer. We will then endeavour to have the items returned to you. A charge may be applicable. and availability so that you can confirm your booking with us. Amber Voyage Taxi office can prepare your transportation for your vacation any where you want. A big fleet of taxi, mini-bus and coaches on demand. Airport transfers, private car for your excursions all over Cyprus, local transfers, weddings, special events and limousine services. Our fleet is manned 24hrs a day on your service. Anytime you arrive at the airport somebody will be waiting for you with a sign with your name and details of your transport. We not only have English speaking divers but Greek, Russian and German as well. This will ensure that you can have the best communication with us. You are guaranteed a taxi at anytime as long as you have booked with us.